As you probably know by now, I am going to be backpacking around Bolivia and Peru for 23 days. I asked for help with my itinerary a couple months ago and it basically hasn’t changed. I plan on bringing my iPad 2 and my iPhone 4s (I know my tech is old but this makes me feel less worried while traveling alone because hopefully people don’t want to steal my outdated tech!) so I will be working on some posts while I’m traveling but since I’m not used to typing much on my iPad I have prepped some posts to automatically post while I’m away. It would be ideal, however, if I could update while I’m backpacking so readers could give me immediate feedback and advice. We’ll see how well that idea works, but the other posts are there just in case! Neither of the countries I’m visiting are on the top ten most dangerous countries in the world list so I’ve decided to bring my DSLR with me! Even though I will be traveling solo and it is therefore a little dangerous to have a big camera around my neck, I always feel so uncomfortable and unsafe taking it out while I’m in Venezuela, that I expect to take lots of pictures while I’m there. 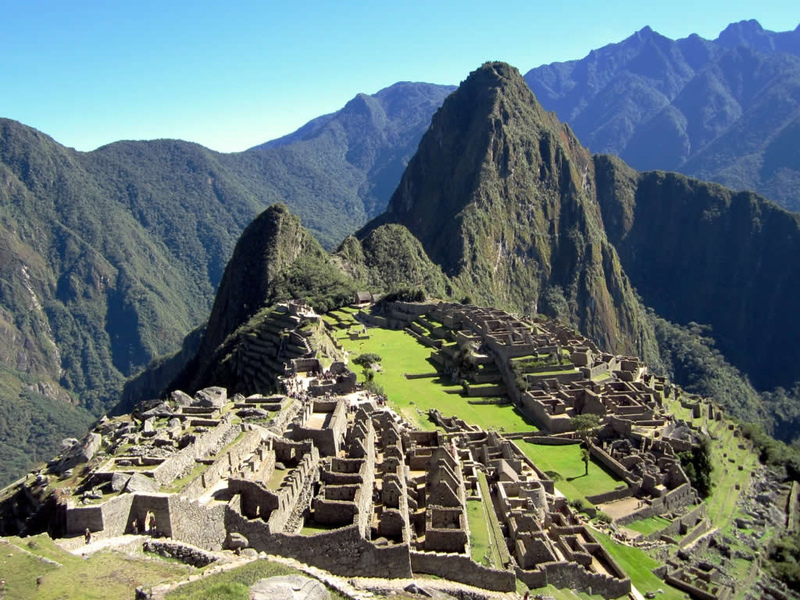 Oh Peru was my favourite country while backpacking in Latin – and South America! ENJOY!! I’m spending about ten days there and ten days in Bolivia so I hope they are equally great. I’m really looking forward to the Peruvian food! Do you remember where you ate it? I love ceviche! Have a WONDERFUL time. When I walked through the entry gate at Machu Picchu for the first view I broke down in tears. I hope it is a magical experience for you as well. I will be at Machu Picchu on Christmas Day and I think this is the best present I’ve given myself in a while! If I’m not going to be home with my family I’m happy that I can be somewhere magical on Christmas Day. I’m bringing the DSLR with me to Peru and Bolivia so hopefully I will get some great shots to share on my upcoming posts. I look forward to reading / seeing them!